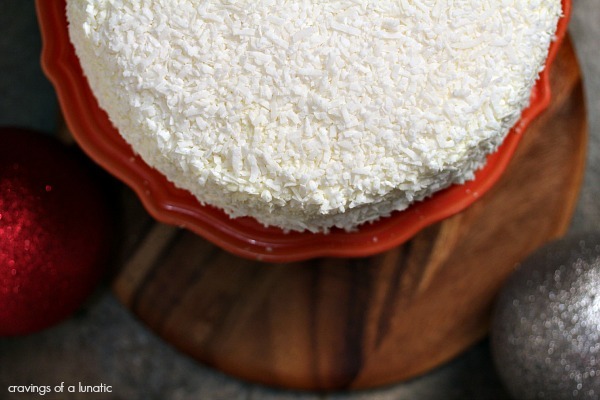 This gorgeous coconut layer cake is easy to make, and absolutely loaded with coconut flavour. Sure to be a hit this holiday season! This coconut layer cake is divine. It has such much flavour packed into it. It uses coconut milk, plus coconut extract for that extra something special. Speaking of something special I would like to wish my co-host Susan of The Girl in the Little Red Kitchen a Very Happy Birthday today. I heart you my friend! So very much. I hope your special day is filled with friends, family and lots of amazing food! Each year I team up with my buddies to bring you Christmas Week. This year is no exception. We have 5 full days of recipes coming at you. I really hope it helps to inspire you to bake this holiday season. I decided to make coconut layer cake. It’s something I’ve been wanting to make for the blog for some time. I think I’ve been saving this recipe for a couple of years now. So it was high time to get on with it and make it. I’m not a big layer cake kind of person. Not that I don’t love them. I enjoy eating them, I appreciate how gorgeous they are. But I am not a patient person. So taking the time to layer it all perfectly is just too tedious for me. For this one I threw caution to the wind, and figured the worst that could happen is I turn it into a coconut cake parfait. Luckily it cooperated with me. Worst case scenario the layers are not perfect. However I’m not sure anyone will care if it’s covered in gorgeous coconut. You could totally do this one with toasted coconut if you like. Again, I’m not very patient so waiting for coconut to toast perfectly is not going to happen. So white coconut it is. I’m easy like that. I highly suggest you try this one. If I can make it anyone can. Seriously, not a cake maker over here. You will rarely see them on my blog. So I am not kidding when I say “if I can make it, anyone can make it”. A monkey could make this cake. Although I’m sure he’d prefer banana cake. 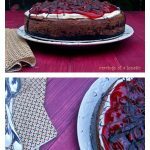 I digress.. Be sure to scroll to the bottom for all the recipes from our other participants for Christmas Week. There’s also an awesome giveaway so be sure to peek in on that as well. Keep tuning in all week for lots of amazing holiday recipes. Spray three 9-inch round baking pans with non-stick spray, then lightly flour. Set aside. In a stand mixer combine the butter and sugar. Beat on medium speed until the mixture is fluffy. Now add the egg yolks, one at a time, into the mixer, continue to mix well after each addition. Add the coconut extract, mix again until combined. In a separate medium sized bowl combine the flour, baking powder, baking soda, and salt. Sift this twice, don't skip this step, it's worth the time it takes. Now gradually add the butter mixture alternating with the coconut milk, making sure you begin and end with the flour mixture. You want to mix the ingredients thoroughly. Now in another separate mixing bowl, beat the egg whites with a hand mixer on high speed until the mixture forms stiff peaks. Now you are going to fold that gently into the other batter, make sure you do not over-mix, nor use a mixer at this time. Folding in carefully is important. Spoon the batter evenly into each pan, and place them in the oven. Bake for about 18 to 20 minutes. The top should be golden, and if you insert a toothpick in the middle of the cake the toothpick should come out clean. Now you want to carefully remove the cakes from the oven. Allow to cool in the pans for about 10 to 15 minutes. Transfer to a wire cooling rack, and continue to cool completely. Once cooled you can slice each cake layer in half horizontally. Set them aside while you prepare the frosting. In a stand mixer, using the whisk attachment, mix the butter, coconut milk, heavy cream, and coconut extract until creamy. Now add the confectioners' sugar gradually, mixing until smooth. Use this frosting to put in all your layers. So lay the first layer on a plate or cake stand, spread frosting over it evenly. Continue this process until all the layers are stacked. 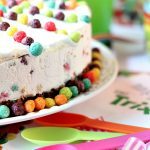 Coat the entire cake with a thin layer of frosting. Allow to set up. Now add your final coat of frosting over the whole cake. 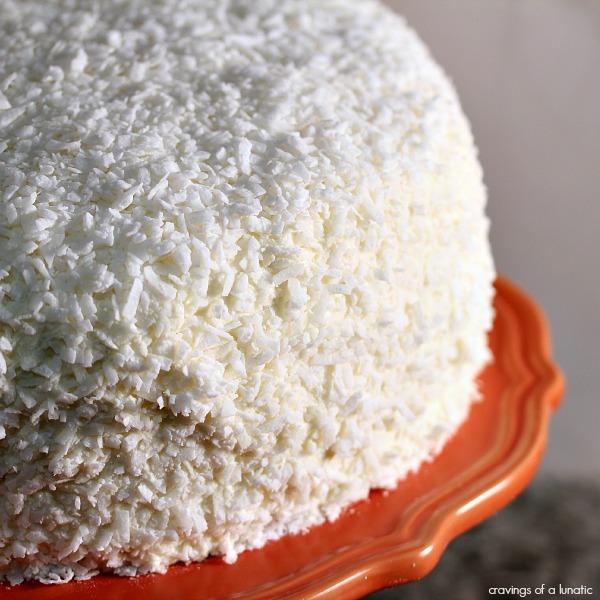 Carefully place all the coconut over the cake so the entire thing is covered. I’m so glad you didn’t have to resort to a parfait! I adore coconut and this is one spectacular creation. Thanks to you and the birthday girl for hosting another Christmas Week. I just love the look of a tall layered cake but I don’t make them very often either. 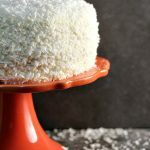 Your coconut cake is gorgeous, Kim! Totally worth the extra effort! Kim this cake is so pretty! 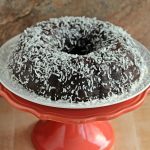 Perfect for a holiday treat or any winter cake or really, any time you want to get your coconut on. Thanks! Is it that coconut reminds me of fluffy snow? 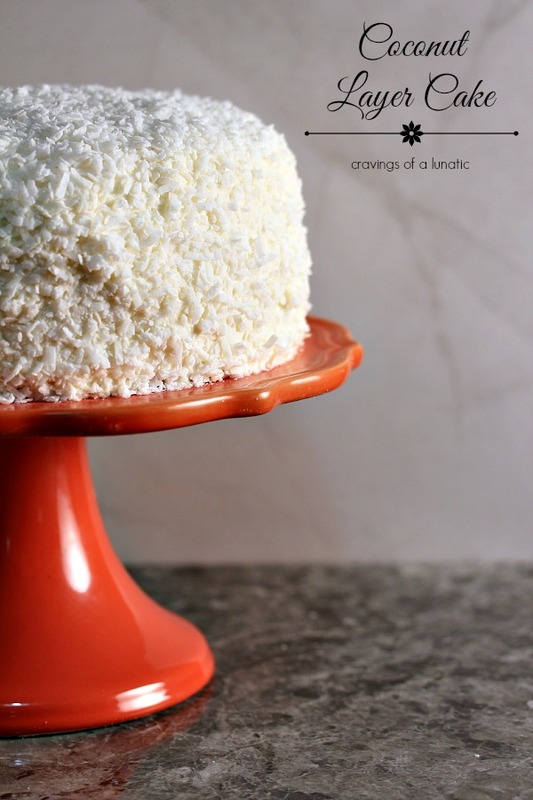 …love me some coconut cake! I made some cupcakes last night and I think everyone’s gonna love them! So I’d say cupcakes. I love coconut! After lemon (and, well, chocolate!) my favorite flavor in sweets. This looks terrific — thanks. Oh I love to make all sorts of cookies. Sugar and Gingerbread are a must. Can’t get enough of Christmas food!!! Giant fluffy snowball cake. Yeessss!! And my fave thing to bake during the holidays is COOOOKIES! Favorite thing to bake – holidays or not – cookies! I love to bake all the things but mostly cookies. I can bag them up & hand them out in RACs- Random Acts of Cookies- to neighbors, retail workers, anyone I pass who looks like they could use a cookie. 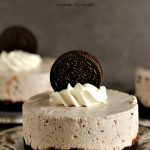 You always have such wonderful recipes…I’m not big on coconut, but my Dad will love this!! Thanks! The island girl inside me is doing the happy dance right now. I LOVE LOVE LOVE COCONUT!! I would go piranha on this cake! 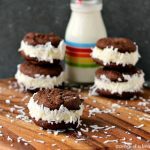 I love to bake molasses crinkles, gingerbread and sugar cookie cut-outs, plus snowballs! I love coconut! This cake seems very very tasty! Thanks for sharing! 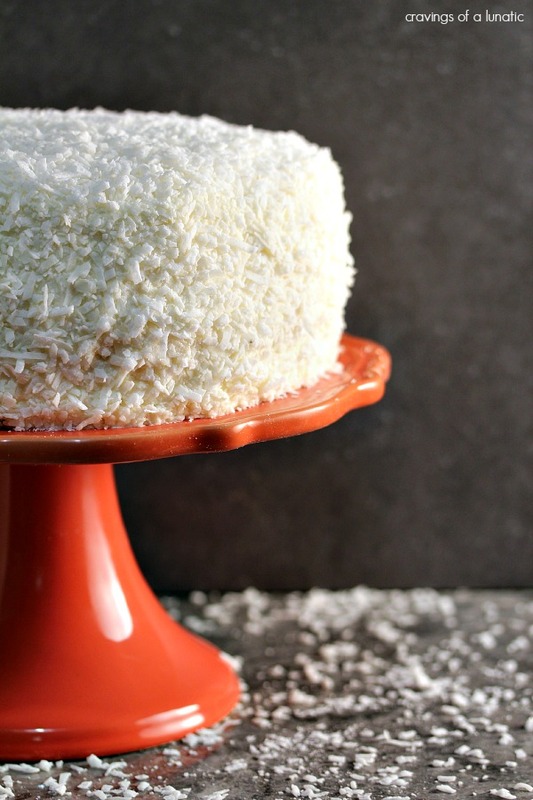 Yayy this is exactly what a coconut cake is supposed to look like–goooorgeous! I’m a fan of making cookies, cookies, cookies, in as many different varieties as I can! Beautiful! Cannot wait to try this! I love baking with the kids. They have so much fun decorating cookies. Memories to last a lifetime. I’ll have to try the coconut cake for my kids. I make cookies, candy, cakes and pies for the holidays, but the one thing I get asked to bring over and over is all my different kinds of fudge. When the kids were little, we always baked together. Now that they are grown, they enjoy scarfing it all down and taking all the leftover goodies with them when they leave. My son even asked me to find a way to ship it to him while he is out on his ship for the Navy! I love baking a Boozy Fruit cake. I love to bake, period. We make an assortment of cookies, sweet breads, and hand dipped chocolates (and chocolate dipped pretzel rods!) and give the stuff away as gifts. It’s fun! I like the way you roll Norma-Jean. I’m with you, giving it away is just as fun as making it. It’s always nice to get homemade gifts from people. I love to bake. I just finished baking a loaf of no knead bread. 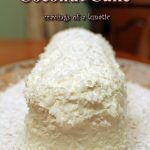 This coconut cake looks lovely and delicious. I am going to bake one as soon as I get some coconut milk. Thanks for this opportunity. Thanks so much Karen. I hope you love it. I heart anyone who loves to bake as much as me. Me too Amy. One of my favourite parts of the holiday. It’s a beautiful cake. If I had one tenth your skill, I might attempt it. I bake many kinds of cookies to give for gifts for the holidays but my favorite ones to make are my mom;s sugar cookies and decorating them. I love to bake Snickerdoodles during the holidays. I love this cake, I have tried making one yesterday, but made slightly some changes, I have added some caramel to it and a little bit of strawberry cream to design it since yesterday was my girlfriend birthday. Excellent, super delicious cake. I prepared and cooked this cake to the “specific” instructions and it came out perfect. I’m so happy to hear you liked it. Thanks for taking the time to leave a comment. It’s much appreciated.